With water making up close to 60% of the average human body and 73% of the brain, there’s no better choice when it’s time to rehydrate. Doctors and experts recommend plain water as the safest and healthiest drink. After all, water is calorie-free, caffeine-free, sugar-free, and should be chemical free. The problem is that sometimes water can be a bit plain, even boring. In response to this, many people choose to spice up their water consumption with sparkling water. If regular water is boring, why not add bubbles to spice it up? Recently, however, there has been some media coverage suggesting that carbonated or sparkling water may be dangerous to your teeth. 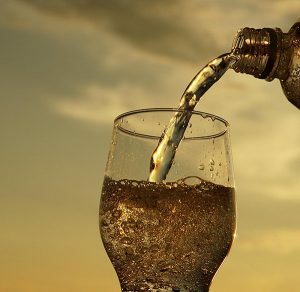 At A Plus Dental we are all about protecting your teeth, so we’d like to share with you our latest understanding of sparkling water, it’s safety, and how it compares to other possible drinks. The potential problem with carbonated or sparkling water is the threat that it can erode your tooth enamel, the hard, outer surface of your teeth that protects the softer parts below. This threat is posed by carbonic acid — a consequence of water and carbon gas. Carbon gas gives sparkling water its bright, slightly tangy taste. Studies have suggested that carbonic acid can have a mild corrosive effect on your teeth over a long time. A chemical reaction in your mouth turns the carbon dioxide into carbonic acid, which makes your mouth more acidic. If you’re interested in the science of this, here’s the chemical reaction: H2O(l) + CO2(g) ⇌ H2CO3. We know, very complicated! To understand why this might be a problem, take a look at a pH scale, which measures acidity levels. The lower a pH number, the more acidic a drink is. Pure water has a pH level of 7. Bottled water — even some of the ‘flat’ variety — has a pH level between 5-7; while sodas can hit as low as 2. The pH level of sparkling water is normally between 3 and 4, which is obviously a bit less than ideal. But How Dangerous Is That Chemical Reaction? The good news is that, while the chemical reaction described above does seem real, it also seems to pose very little threat to your teeth – certainly less danger than the super-sugary drinks it replaces. In fact, a study published in the Journal of Oral Rehabilitation discovered that flavourless sparkling and mineral waters do almost no damage. To damage your teeth, you’d almost need to try. In the worst-case scenario, sparkling water is no worse than sugarless fruit juice. You would have to drink sparkling water repeatedly, over an extended period to have a noticeable effect. Basically, tooth erosion can be demonstrated in a controlled lab environment, but that’s because you can take teeth and dip them into a batch of sparkling water for a very long period of time. In the real world, it’s highly unlikely you could do any real damage. Drink sparkling water with good oral hygiene habits and regular dental check ups to A Plus Dental, and you’re probably in the clear! So, drink that sparkling water, but avoid citrus and sugar! Carbonated drinks flavoured with citrus — like lemon, lime, and grapefruit — contain small amounts of citric acid added to that, and are slightly more erosive as a result. But they are still very safe compared to soda, which has been found to be about 100 times more damaging to teeth than pure sparkling water. If your sparkling water has added sugar, it’s basically a soda. Citrus-flavoured sparkling water, even without extra sugar, has a higher level of acid. Citrus flavours include lemon, lime, grapefruit, orange, and tangerine, among others. These are best to drink with meals, rather than sipping on them during the day. So, go ahead and drink that sparkling water when you want a little spice in your life. It may not be exactly as safe as water, but it is very safe, and certainly safer than soda. Take care of your teeth at home, visit A Plus Dental, and sparkling water can be a part of your good dental health! 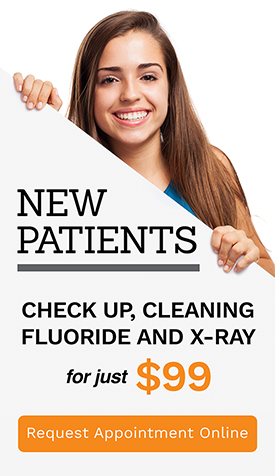 At A Plus Dental, our goal is to give our Campbelltown area patients, from infants to seniors, with caring, relaxing treatments in a calm and welcoming environment.